MEMORABLE EXPERIENCES THAT ELEVATE AND EXTEND YOUR BRAND. Eatable creates memorable experiences that elevate and extend your brand. From events to content, our work with clients/partners is focused on understanding your needs and goals and developing a program that meets them. From entertainment to education to social impact, making food part of the program engages the senses and makes a lasting impression. 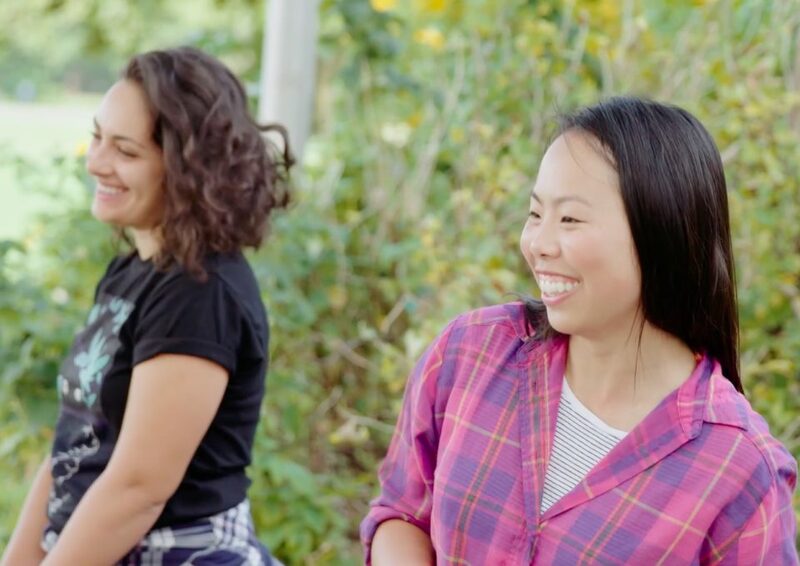 We partnered with The Stop to create a short film that captures the energy and hope of their community garden and urban agriculture projects. 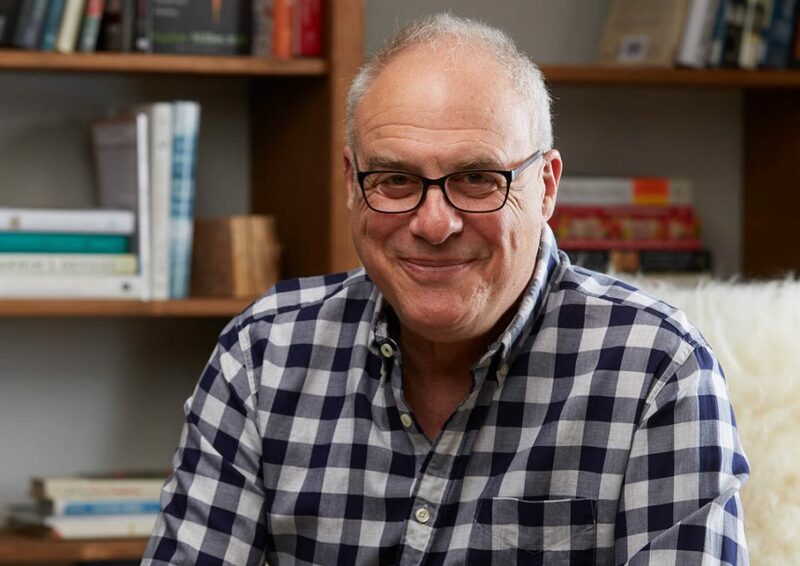 Community Food Centres Canada contacted Eatable to ask us to be a creative partner with them on a public education event featuring Mark Bittman, renowned former New York Times food columnist, advocate and author of How to Cook Everything. For the first eatable@VIP Cinemas event, Eatable and Cineplex partnered with The Chase and Perrier Jouet Champagne. 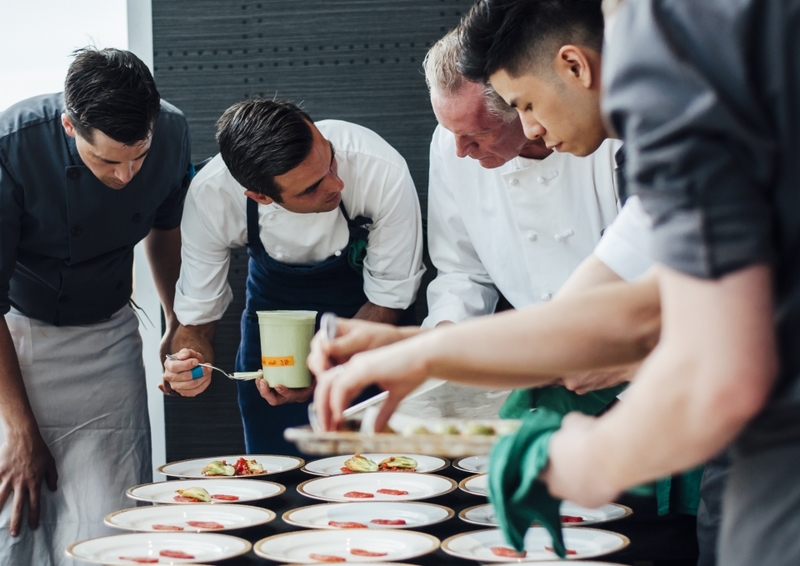 What turned the event into an unforgettable one for foodies was that Chef Jeremiah Tower agreed to fly from his home in Merida, Mexico to attend the event, and cook with The Chase Chef Tyler Shedden. In 2017, Eatable partnered with Cineplex VIP on eatable@VIP Cinemas – a luxury food and film experience that brings chefs into the cinema to create restaurant level food and drink inspired by first-run films. 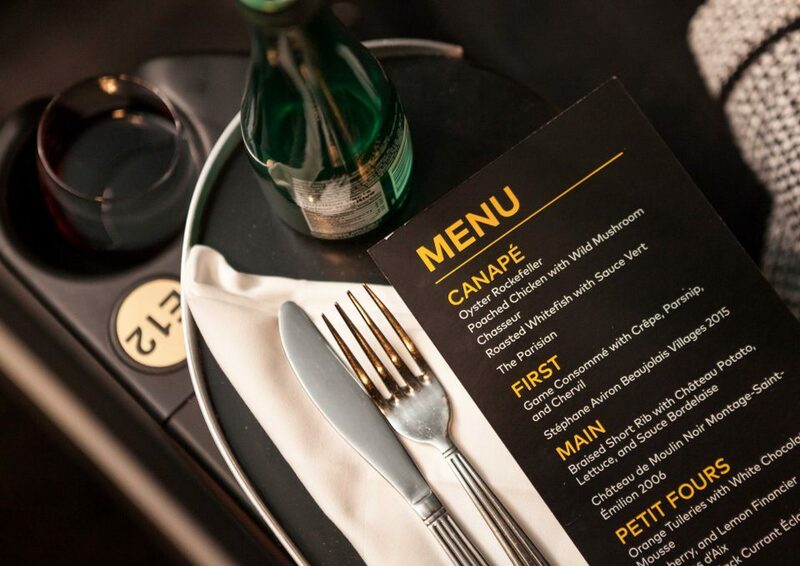 For the screening of Murder on the Orient Express, Chef Doug Penfold of Chabrol restaurant created a menu that transported guests back to the original journey of the famous train. For Hot Docs Festival’s premiere of Ants on a Shrimp, a film about renowned Chef Rene Redzepi transporting his Copenhagen restaurant Noma to Tokyo for a five-week pop up, Eatable partnered with local Chef Justin Cournoyer of Actinolite to present a dinner that celebrated the Noma philosophy that “food should be based on the geography it is being sourced from”. After year one, Eatable had the momentum for audience sales and increases in food and drink partners to allow for a Festival in 2016. 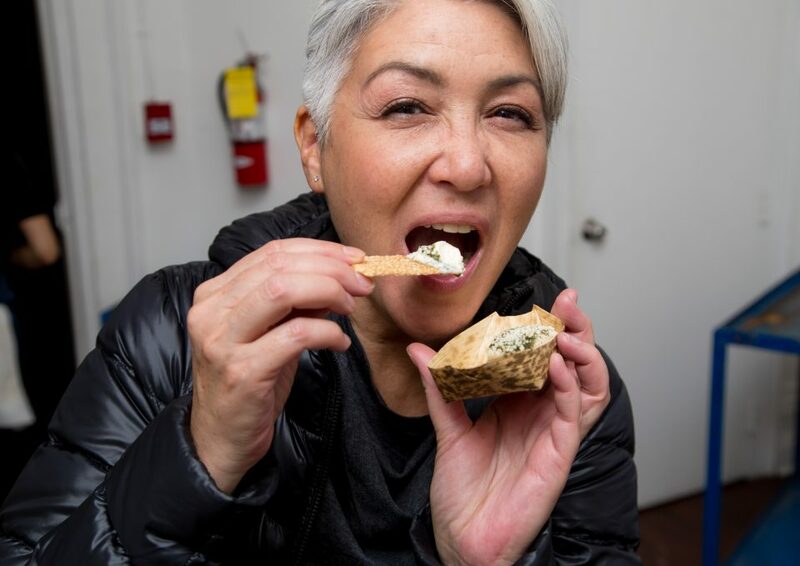 Eatable’s second festival featured a mix of first-run international food films and classics paired with tasty snacks, drinks and a “Big Night”. 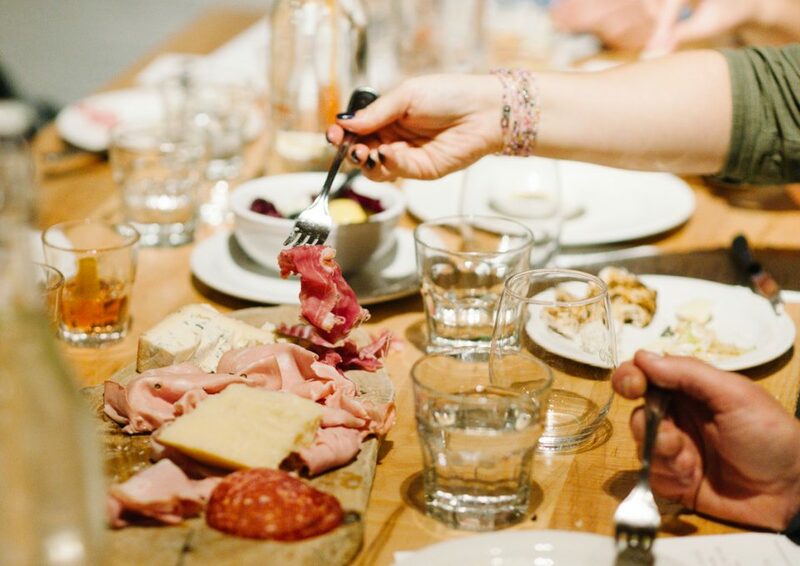 Food Brand and Restaurant partners included Sam James Coffee Bar Blackbird Baking Co., CXBO Chocolates, Canoe, Beast, Pizzeria Libretto and Enoteca Sociale. 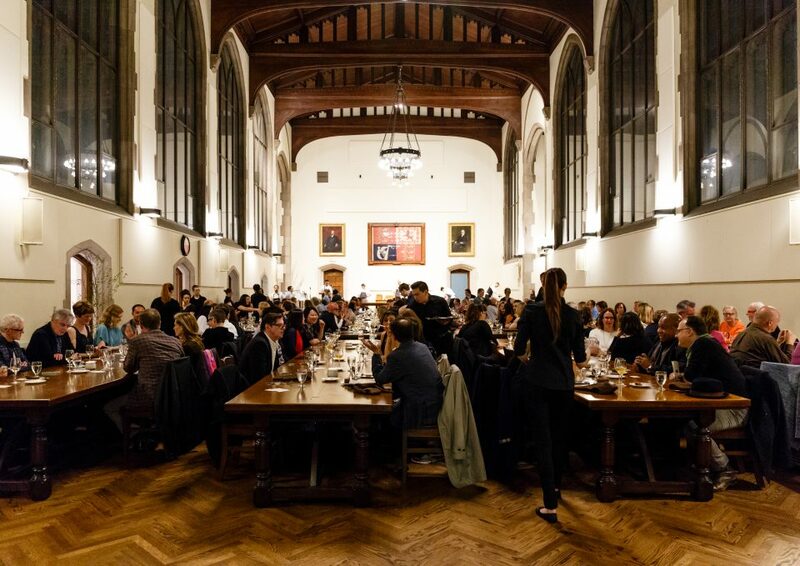 Eatable Film Festival featured a mix of contemporary international food films, classic food films and food and drink by Toronto’s top chefs, including Grant Van Gameren Bar Raval/Bar Isabel, Brandon Olsen/La Banane/CXBO and Leemo Han/Hanmoto. What made Eatable Film Festival different, was the idea of serving food and drink IN the cinema.